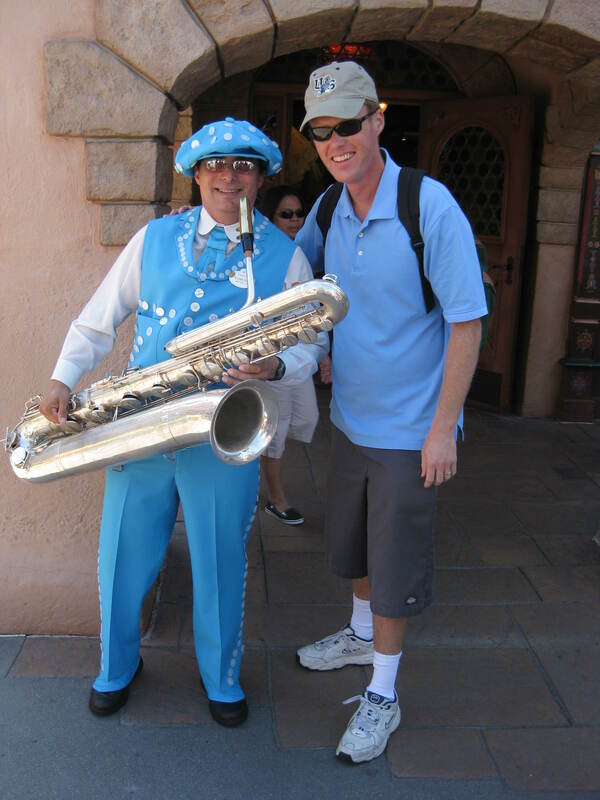 It’s not every day that you get up close with a bass saxophone… unless you’re in the Mary Poppins Pearly Band at Disneyland. The bass saxophone is larger and lower-sounding than the more popular baritone saxophone. Notice the long loop near the mouthpiece. 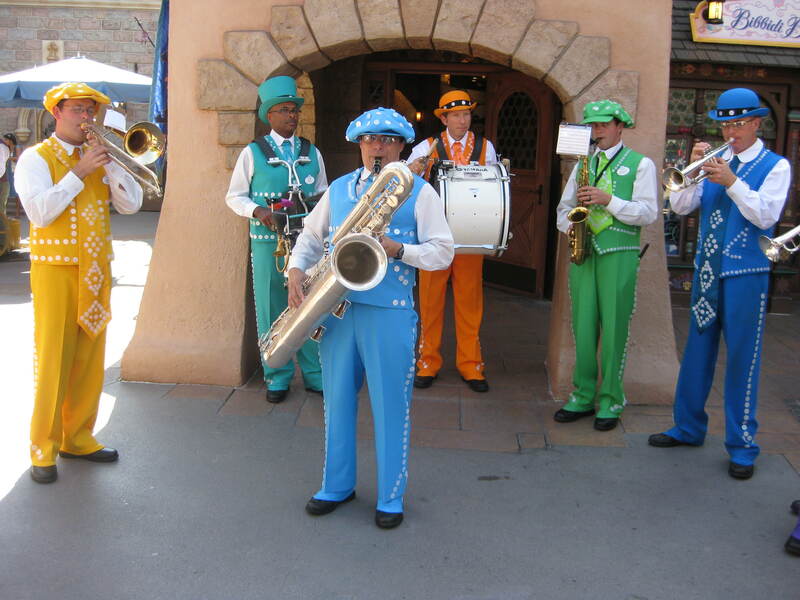 In this band, the bass sax substitutes for the tuba. Try carrying this thing back and forth to school every day! I was recently asked to try out the Fobes 5M alto saxophone mouthpiece for California Keyboards. It’s a jazz mouthpiece modeled after the popular Meyer 5. It’s a great choice for students making the transition from a stock mouthpiece to one designed specifically for jazz styles. If you’re looking for a new mouthpiece, here’s a great article on some things to consider. This week I got to try out a limited edition Yamaha YAS-62IIS alto saxophone selected by Dave Koz. It is a professional level instrument with an eye-catching silver finish. Dave Koz is one of the leading saxophonists on the smooth jazz scene today. He recently earned a star on the Hollywood walk of fame. He has a number of highly successful albums, and hosts a popular jazz radio talk show. 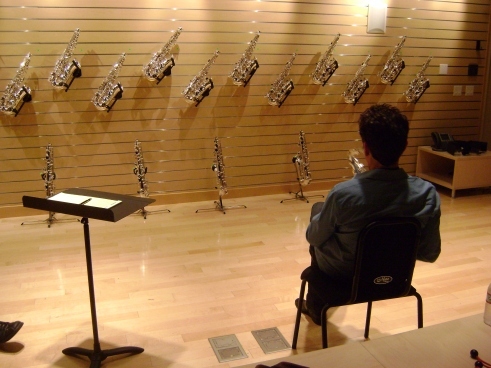 The Yamaha corporation put him in a room full of saxophones and asked him to choose his favorite 15. California Keyboards purchased this limited edition instrument recently at the NAMM Convention (North American Music Merchants) in Anaheim. Here’s a little video clip of my moment with the horn. Here’s Yamaha’s video of Dave Koz trying out the instruments. The new school year has begun, and we’re all getting our new routines established. I’ve enjoyed working with my summer students, and am happy to once again see those of you who took a break. Four or 5 new students have joined my studio. I’ve enjoyed getting to know all of them and their families. One student bought a new alto saxophone. Buying an instrument is a big investment, and I enjoyed helping the family shop and find the right choice. One family vacationed in Japan this summer. How exciting! Several students have been preparing for fall jazz band auditions. I’m proud to hear that everyone who auditioned has been accepted. Thank you all for your flexibility as we find lesson times that work for everyone. I’m looking forward to a great year! Most students are continuing with lessons throughout the summer months. There are a few vacant time slots which I would be happy to use for make-up lessons. Please check my current schedule and let me know if you would like to do so. As always, please notify me in advance if you will be on vacation, and I will do the same for you. Summer can be a great time to learn some fun music and take a break from the normal regimen. Several students are working out of books like Essential Elements Movie Favorites, or preparing for to audition for their school’s Jazz Band in the fall. Most students have recently finished their Spring recording projects. We have been recording the music we’ve worked on throughout the year. I hope to have CDs edited and distributed within the next few weeks.